Hi! Thanks for stopping by our web site! 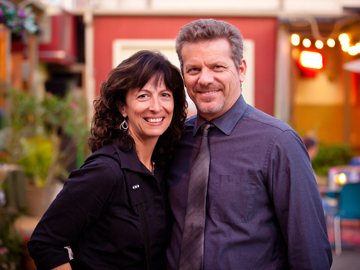 We are Tony and Suzi McGehee -- a husband and wife team sharing our celebration of loving out life by combining writing from the heart and lifestyle photography to create custom storybooks and beautiful wall art. Married for over thirty years, we still think we are young and believe that extraordinary beauty is in the people we meet each and every day. 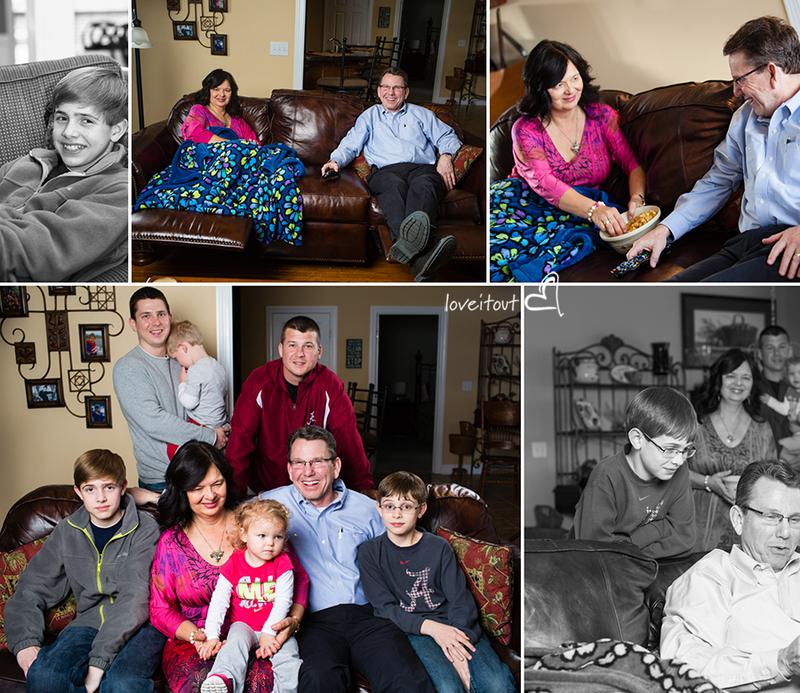 Love It Out was created from our desire to help families photograph and preserve moments along their journey. Our favorite images are those capturing the in-between moments. They not only bring us all closer to the experience, but closer to the 'beautiful you' inside. [from Tony] With a degree in computer science, Suzi is the technical one. She loves technology but also embraces the importance of touchable, personal art to share with future generations. Her creativity and ability to capture personalities amaze me. [from Suzi] As an elementary teacher, Tony excelled in raising self-esteem in his students. He invests in people and believes in reaching for your dreams. He also looks at life through quirky glasses and funny stories. And yes, he make the bestest fudge ever. Our shared dream and the mission for Love It Out, is to reveal beauty. What makes a marriage? What’s the one key that holds it all together? As Suzi & I celebrate our own 30th anniversary, we thought it would be worthwhile to look closer at couples that are beating the odds and living happily ever after. Every marriage is different and we’re interested to see what we may have in common that keeps us all loving it out! 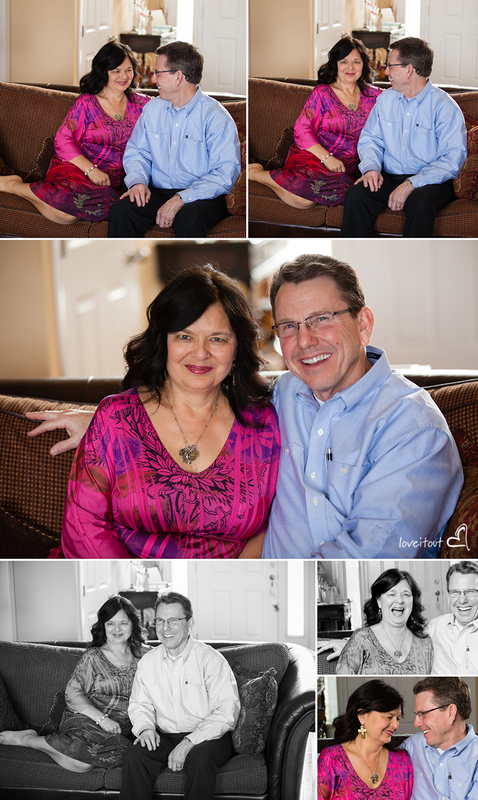 This month we are honored to highlight Robby and Vickie White’s love story. 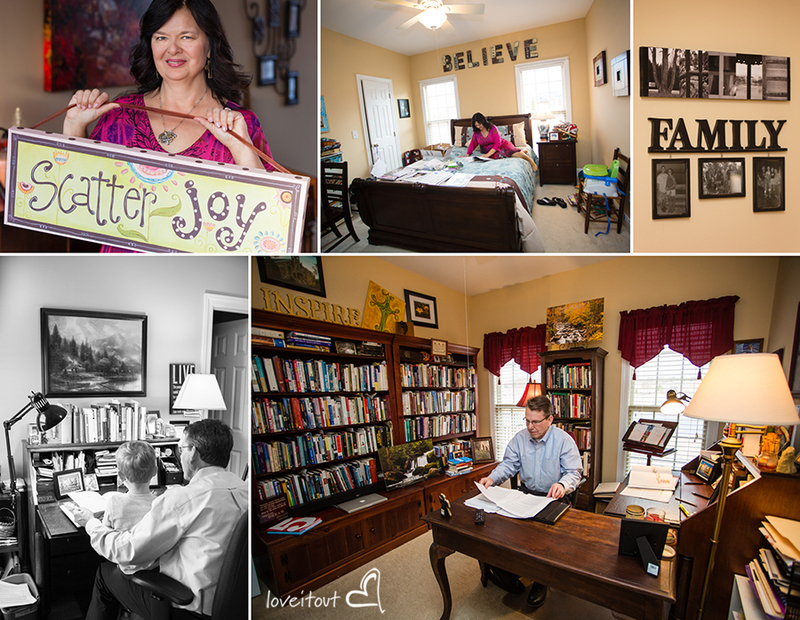 We met Robby & Vickie early in our marriage when Robby came to serve as the new pastor at Locust Grove. Now almost thirty years later, Locust Grove continues to flourish and reach out to the community. Robby has a way of making people feel special – a natural encourager. And with Vickie’s sense of humor, there is never a dull moment. Vickie is a hoot. Always. Vickie & Robby are always delightful. They are genuine. Their love for each other and optimistic attitudes are contagious. Robby and I met at my home church when Robby’s dad came to be our new minister. I saw Robby and thought he was cute. The birth of our first son was very memorable in many ways. The doctor came in our room after he was born and told us Rob had yellow jaundice and then he just left. We both looked at each other and started crying because we had no idea what yellow jaundice was. We finally composed ourselves. Then Robby called our pediatrician’s office and they assured us he would be okay. Robby thought it was some kind of jungle fever. We were so young and knew so little about babies. Our key ingredient would have to be love. Biggest challenge to overcome would have to be financial difficulties. Robby’s determination and hard work got us on a road to financial freedom. We struggled financially through school, seminary, and early days in pastorate. He started teaching at ASU as a 2nd job. Our home on the lake. He knew I wanted a bigger home so we could entertain and I wanted a big kitchen! Again, his determination and hard work got us to where we live today – my dream home. Robby’s favorite food is peanut butter. His favorite color is blue. We love to travel and dream of a retirement filled with travel. Their home is welcoming and full of positivisms (yes, you know like happy pics and quotes). We liked their personal space/offices too. Vickie and I have been married almost 38 years. We met each other at a church when we were teenagers. My dad went to be the pastor of Oakdale Baptist Church in Limestone County when I was 15 years old. There was a young lady sitting at the piano that caught my attention. I was singing in the choir at the time (primarily because my mom and dad made me). I happened to glance at the piano one Sunday morning and noticed that the young lady sitting there winked at me. This was not a common occurrence for me, especially in church. Not long after that we had a youth outing around Halloween. She dressed up like a mummy and we ended up sitting by each other. She found a way to sneak a kiss my way–it was a Zombie Apocalypse! I was hooked from that moment on. She is a beautiful person inside and out. Needless to say I have always been attracted by Vickie’s spirit of adventure, joy, and passion for life. Truly, life has been an adventure with her. How do you narrow down a lifetime of experiences to one story or moment? Our wedding was certainly a moment. The birth of our children and grandchildren are great One of the memorable moments occurred when I was in the pulpit of one my first churches. I was preaching a sermon and looked up and saw Vickie rubbing her finger across her throat. I thought initially that I had cut myself shaving that morning. It turns out that became her signal to me that my sermon had gone long enough. I would say one of the key ingredients to our marriage has been the ability to remain friends, genuinely love each other and keep romance alive. Life would have been dull without Vickie in my life. I am closer to an introvert and Vickie is definitely an extrovert. Together we have made a great team across the years. One of the biggest challenges in earlier years was simply to keep our heads above water financially. I was in college when we got married and then went for my masters and later my doctorate. This was a sacrifice on both our parts. Without Vickie’s willingness to work and help support me achieve these goals I would never have completed my education. There have been plenty of other challenges across the years for both of us. Raising teenagers and dealing with the pressures and demands of life in general at times have been difficult. We have learned to encourage each other. That has made all the difference. One of our favorite quotes is “the best is yet to be.” We have also claimed Romans 8:28 as our verse. Lynn Fanning taught us the truth of that verse many years ago–God is always working for our good. We both have tried to live our lives in a way that remains open and hopeful believing that indeed with Gods help the best is yet to be for both of us. This kind of hope and inspiration has given us strength and allowed us to live our life together with a spirit of joy and expectancy. Vickie has given me many wonderful gifts across years. There have been books, journals, clothes and trips—the gift that matters most has been our children. Not only giving birth but also being a wonderful mother and now grandmother has been her greatest gift to me. She scatters joy! She does it better than anyone else in the world! Vickie’s favorite food is Italian although she also still likes a great steak. I’m not sure she has one favorite color. I think if you take the brightest colors available and put them together that would be her favorite color. Somehow that also fits her personality. Years ago while on a cruise we met a couple in their 70’s who were sailing around the world together. If we ever had the chance, I would love to do the same with Vickie. What season of marriage do you like best? This one. When we discussed our Happily Ever After photo session, we asked this simple question based on our business name and journey married for 30 years, “What does Love it Out mean to you as a couple?” Robby excitedly answered, “I think it means to live it out. Love is supposed to be lived out.” Vicky laughing agreed, “Yes that’s right!” explaining that Robby is the ‘wordy one’. Vickie is a talented musician and also owns the popular gift shop Two Friends. Enjoy their video and leave us a comment! YOUR life is beautiful… love it out!